The development of tourism in Azerbaijan growths every year. 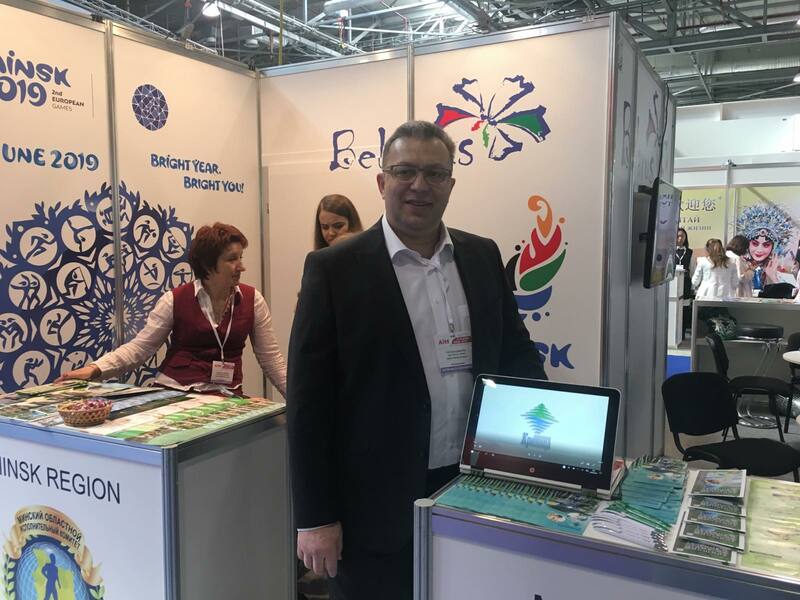 For promoting the tourism potential of Azerbaijan, the government bodies organize several exhibitions. 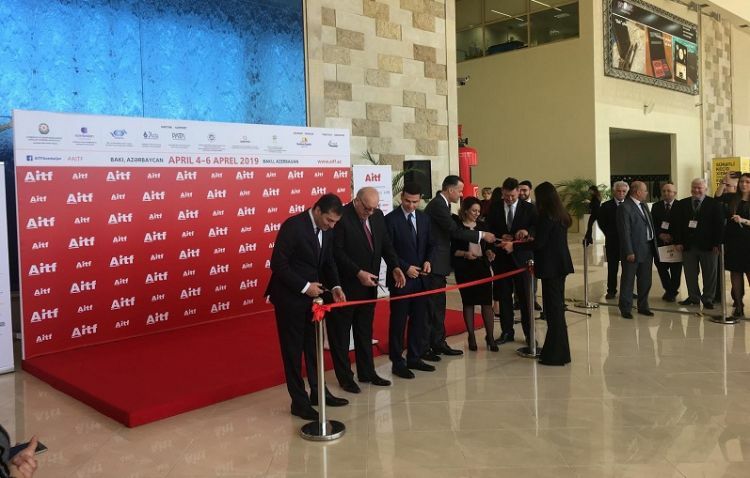 18th Azerbaijan International Travel and Tourism Fair (AITF) started in Baku Expo Center 4-6 April. 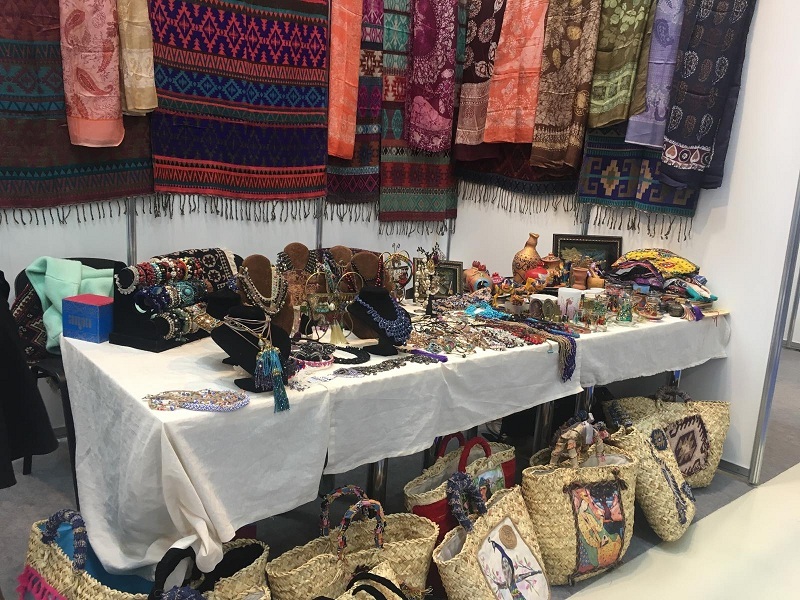 AITF is not only the region’s largest exhibition in the tourism sector, but also a celebration of culture, new experiences, opportunities, and friendship. Azerbaijan focuses on the tourism sector for diversification of economy. Azerbaijani stand differed from others by its uniqueness. Original Azerbaijani carpets, bags, pear-shaped glass, different souvenir. All of these was made by different craftsmen. 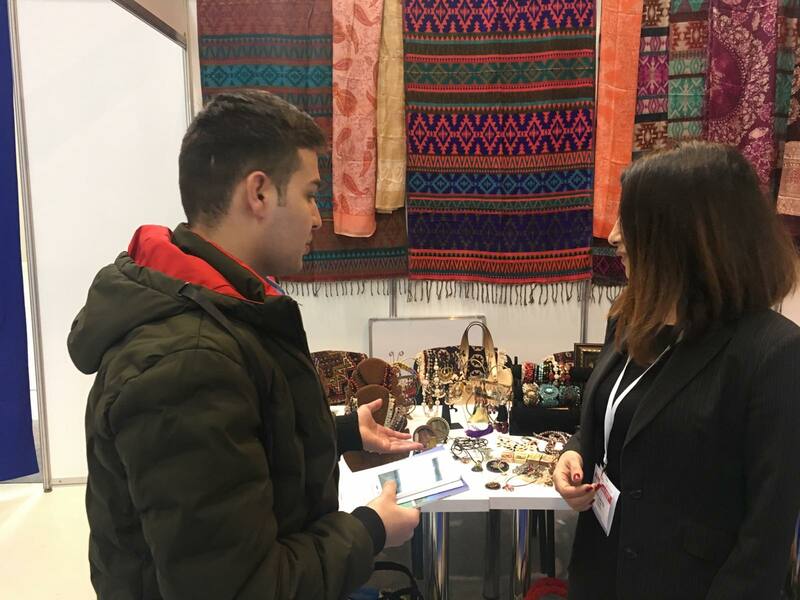 It was organized by Sandiqca (Azerbaijani handcraft and souvenirs). Craftsmen are from Azerbaijani regions, they made unique handcraft works. It could be also sold and exhibited. Azerbaijan is planning to open a shop of Sandiqca in Moscow which will promote our culture widely. 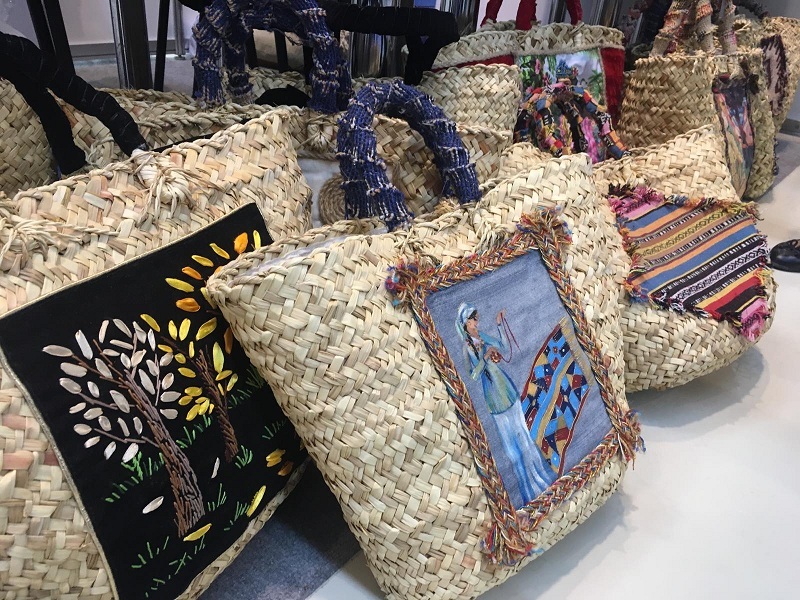 The bags called "sebet" which is ancient bags for shopping and keep good fresh. These type of bags can be found in almost every house until the last century. On the surface of bags, Azerbaijani elements were drawn. We can notice Karabakhi elements on souvenirs also. We could see the same on the pear-shaped glass. 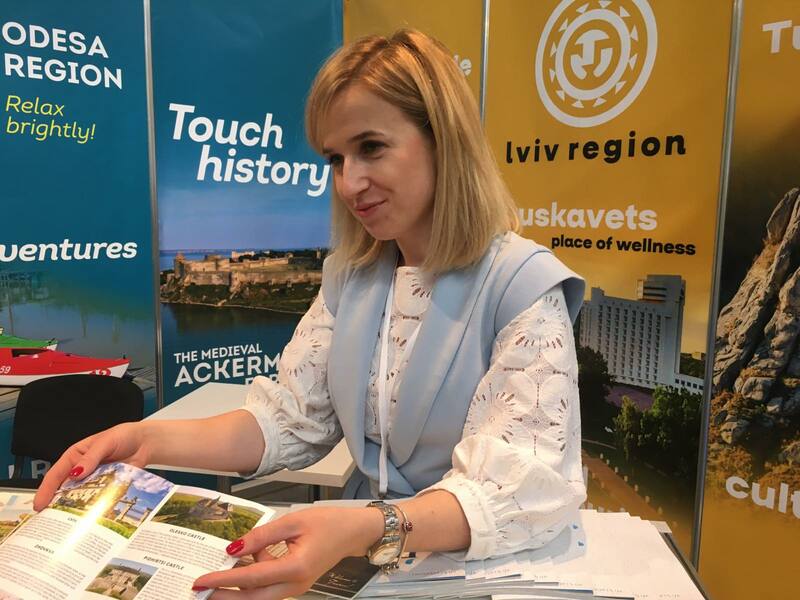 Ukraine was represented by Lviv touristic region. From this month, Baku-Lviv air routes will be opened as the season starts. Mainly Lviv offers to tourists mountain touristic activities, health tourism with the resort hotels. Lviv owns historical monuments and attracts tourists from Belarus, Azerbaijan, Kazakhstan, Israel, Poland and Germany. Tourists from different countries love firstly because of the resort feature in Lviv region. 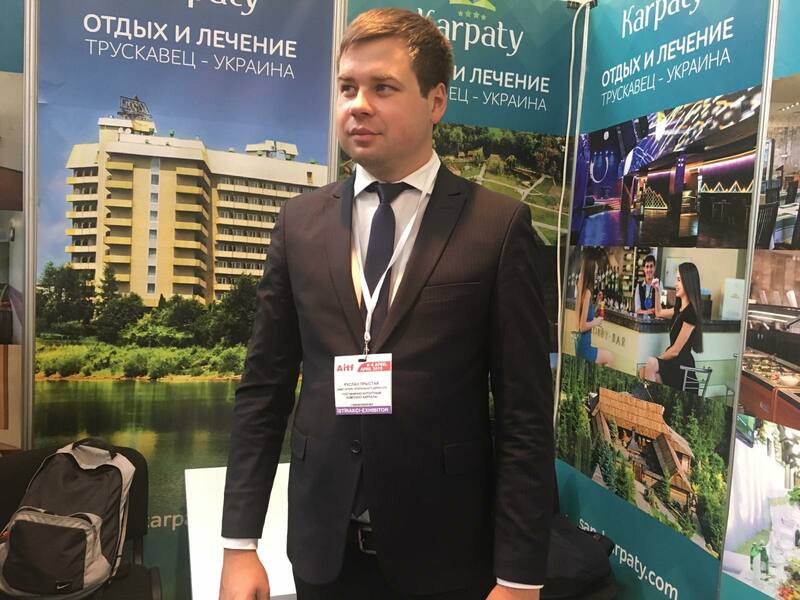 Another stand of Ukraine exhibits Karpaty resort hotel located in Truskavets. There are many mineral springs in the city. Truskovets is proud of for being a healthy city. Who wants to rest in a calm city Truskavets is one of the best destinations. There are spa-centre, restaurants, mini-zoopark, therapy centres. Turkey was represented by Bro Group. Turkey offers many types of activities like mountain tourism Uludag in Bursa, Palandoken in Erzurum. Black seas region is popular mainly with nature. Aegean, Marmara is mainly for sea tourism. Most of the tourists come from Germany, Russia, Iran and other countries. Azerbaijan has been 6th place according to the latest statistics. Istanbul is very active during the whole year. He also mentions the tourists visiting Azerbaijan from Middle East Arabian region. Bro Group plans to organize Istanbul-Baku--Kuwait tours. This will be useful for the move of the tourists in this direction. 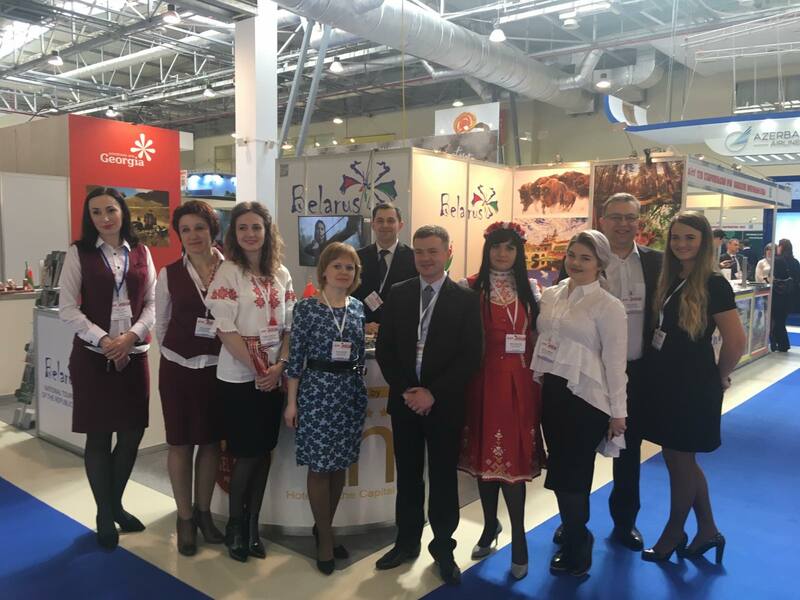 Apart from these countries we mentioned above, the Czech Republic, Dominican Republic first time, Georgia, Russia, Morocco and others organized stand for promoting their tourism potential. Such kind of events can be considered as the indicator of the development of tourism marketing in Azerbaijan.